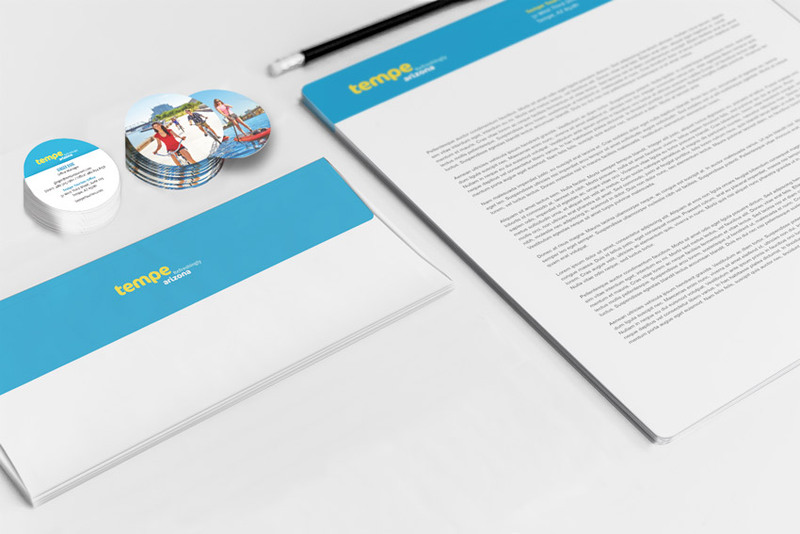 The Tempe Tourism Office needed to reinvigorate the City of Tempe brand to better position the city as a travel destination in the southwest, with the ultimate goal of increasing hotel bookings. 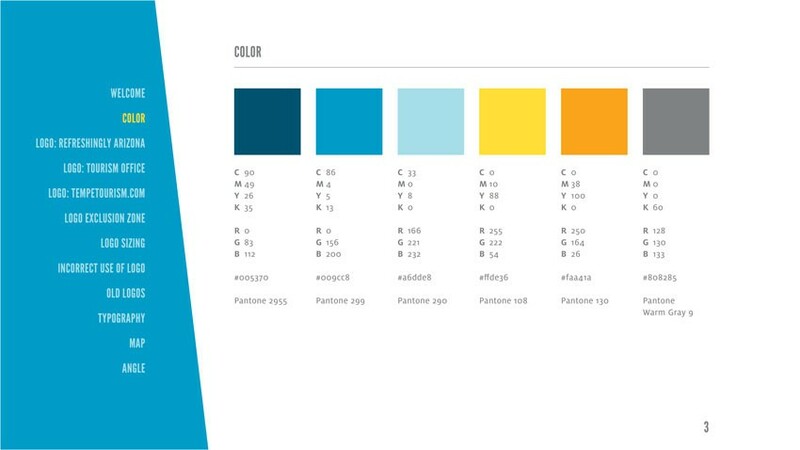 Focus groups helped us identify unique brand pillars, providing a strategic framework for the development of all new brand assets. 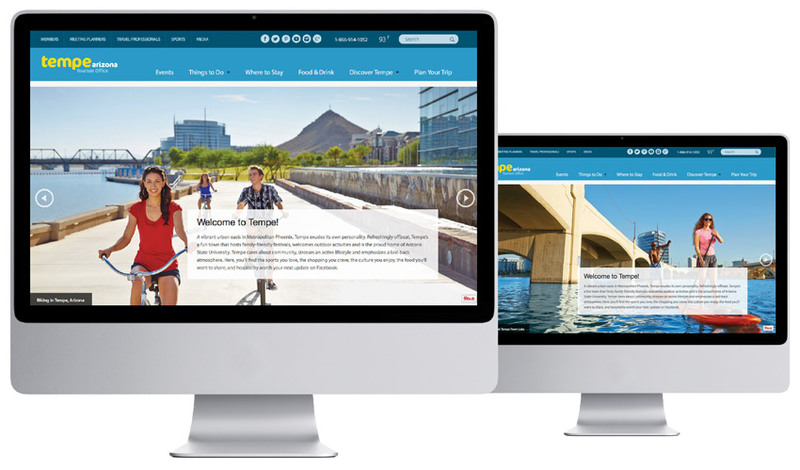 The result was a new tagline and logo in alignment with Tempe’s new brand personality. We wanted to genuinely capture the personality of Tempe and the full range of unexpected opportunities and activities the city has to offer. We managed and directed a photoshoot in various locations throughout Tempe, featuring a wide variety of scenarios to address all audiences and their unique interests. 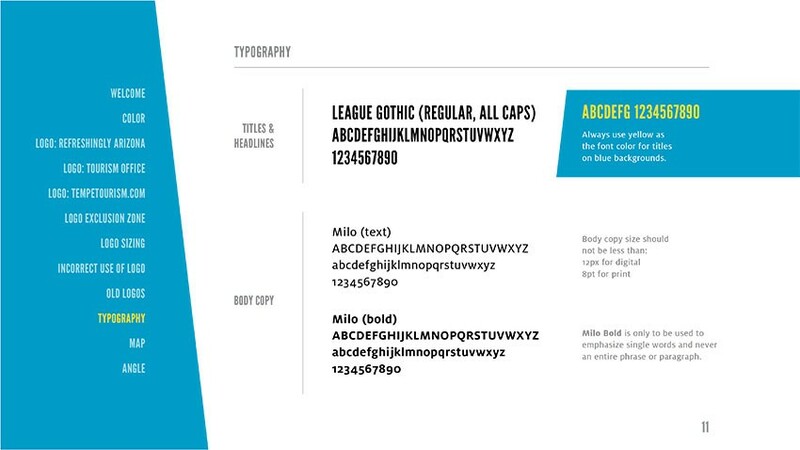 To reinforce the new brand and ensure consistency, we redesigned the entire business system including business cards, letterheads/envelopes and email signatures. We updated existing footage with new graphics to align all videos with the approved brand standards. We provided all visual assets necessary to ensure brand consistency of the new website. 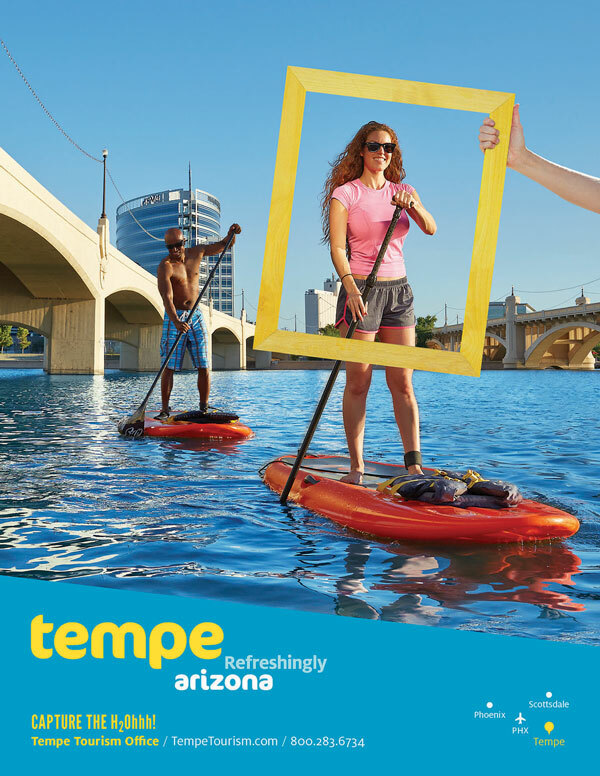 We invited our audience to “Capture the H2Ohhh!” with a national campaign featured in Sunset Magazine, Sunset Destinations, and the Arizona Office of Tourism Visitors Guide. 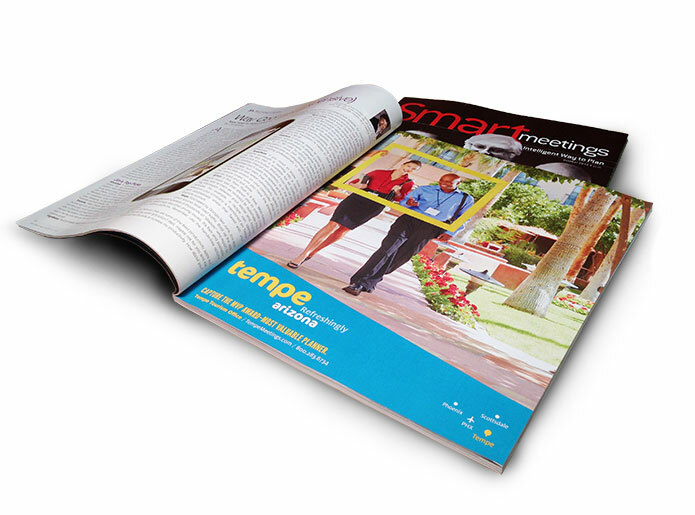 The campaign ran in national trade magazines such as Smart Meetings, Meetings & Conventions and Successful Meetings. We developed custom campaigns specifically for Spring Training and the LGBT market. 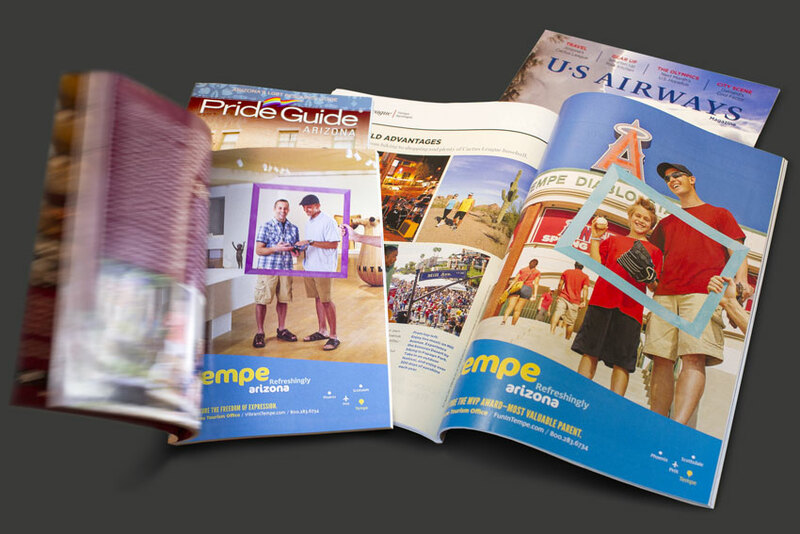 The campaigns were featured in US Airways Magazine and Pride Guide Arizona. We targeted Chicago, Seattle, Denver, LA and the Bay Area, using Spongecell technology which provides the interactivity of a microsite within a web banner. Viewers play videos, open pages and fill out forms without ever leaving the web banner. We targeted Denver and LA markets based on psychographics. Analytics tools tracked performance in real time to adjust media placement. 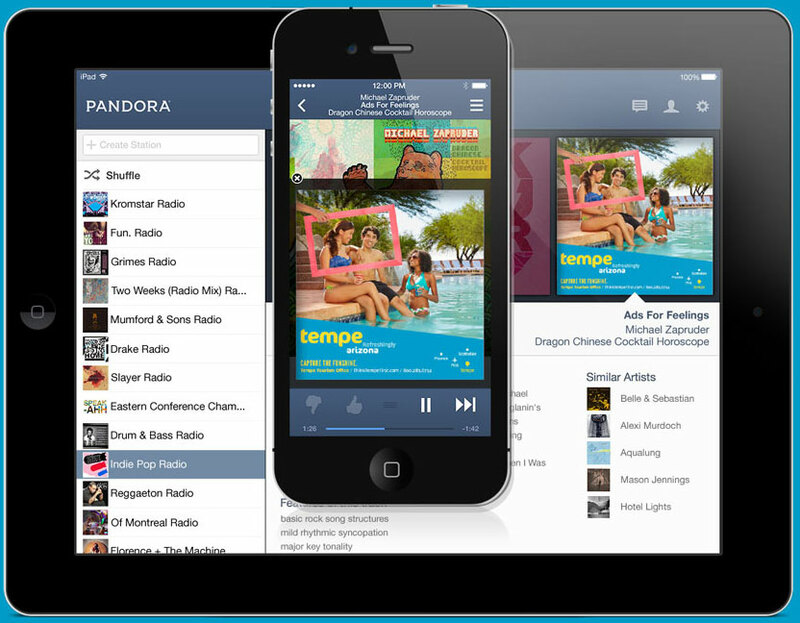 Pandora Radio banners garnered a click through rate almost double industry standards. We implemented this for the media placement of several web banners. Consumers were targeted, or rather “retargeted,” based on their previous online actions to promote further engagement and conversion. 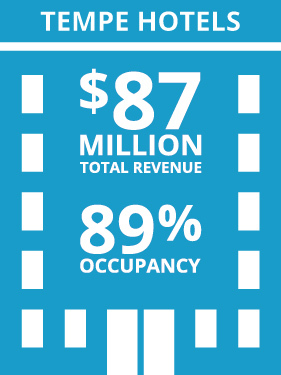 Tempe hotels recorded $87 million in revenues and 89% occupancy, compared to 85% the previous year. 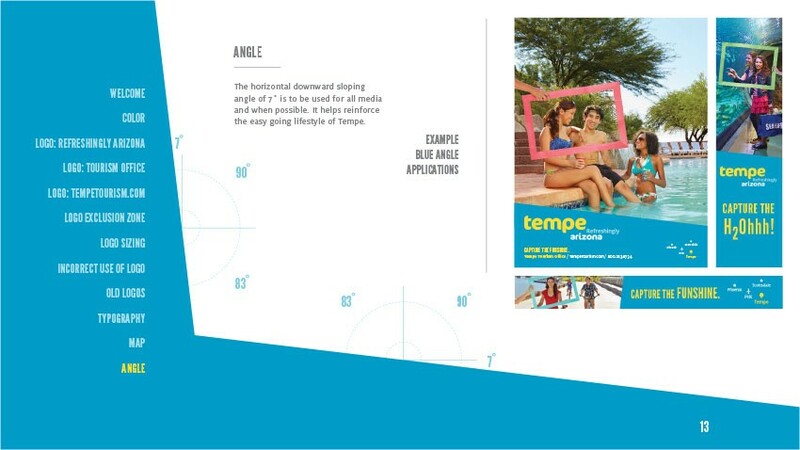 Source: Tempe Tourism 2011-12 Annual Report. 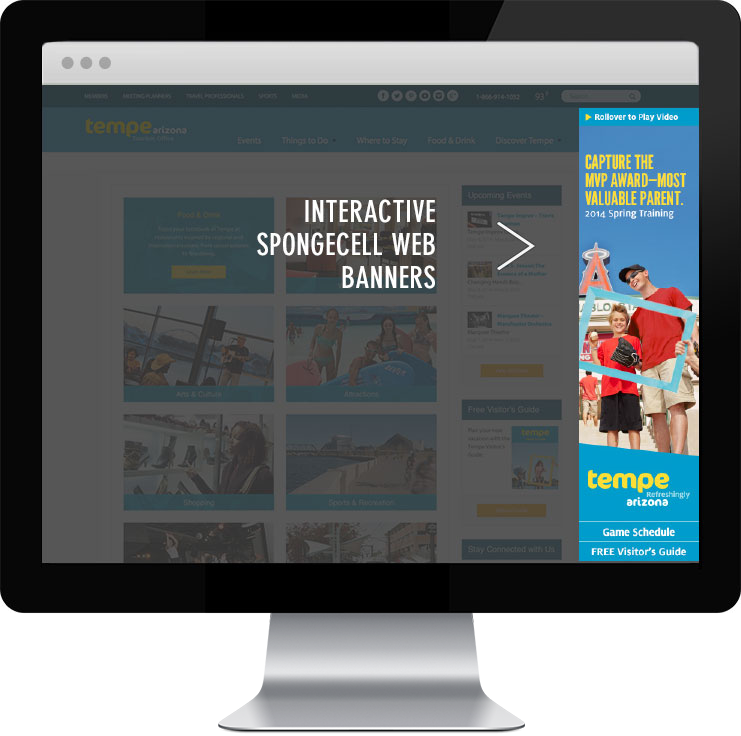 Spongecell banners generated a 2.40% engagement rate compared to 2.17% industry standards. Retargeting efforts recorded a .95% click-through rate compared to .77% industry standards. Pandora Radio recorded a 1.26% click-through rate, far surpassing 0.8% industry standards.